Joseph Conrad is a key figure in modernist fiction, whose innovative work engages with many of the crucial philosophical, moral and political concerns of the twentieth century. This collection of major critical readings of his work is arranged according to the issues which each critic addresses, issues which are of crucial importance, and in many cases remain controversial, within contemporary literary theory and criticism. 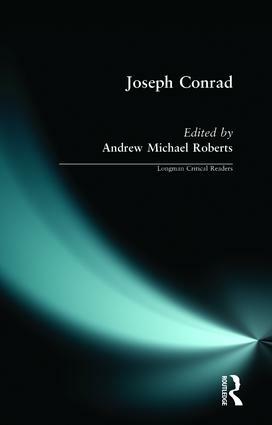 Following an opening section on the critical tradition, indicating how the study of Conrad's work has been politicised since the 1970s, there are sections on 'Narrative, Textuality and Interpretation', 'Imperialism', 'Gender and Sexuality', 'Class and Ideology', and 'Modernity'. Within each section two or three critical excerpts offer contrasting and complementary accounts of the fiction, while the headnotes to each piece and the introduction place these excerpts within the wider critical debate, clarifying for the reader both the theoretical issues and the interpretation of Conrad's fiction. A glossary of terms and a bibliography categorised by critical approach complete a volume which will provide an invaluable resource for students of Conrad and twentieth-century literature as well as other readers of Conrad's work.